Our annual Breakfast with St. Nick will be on December 2nd, from 8am to 11am. Tickets are $20 for a family, or $5 for a child or adult. 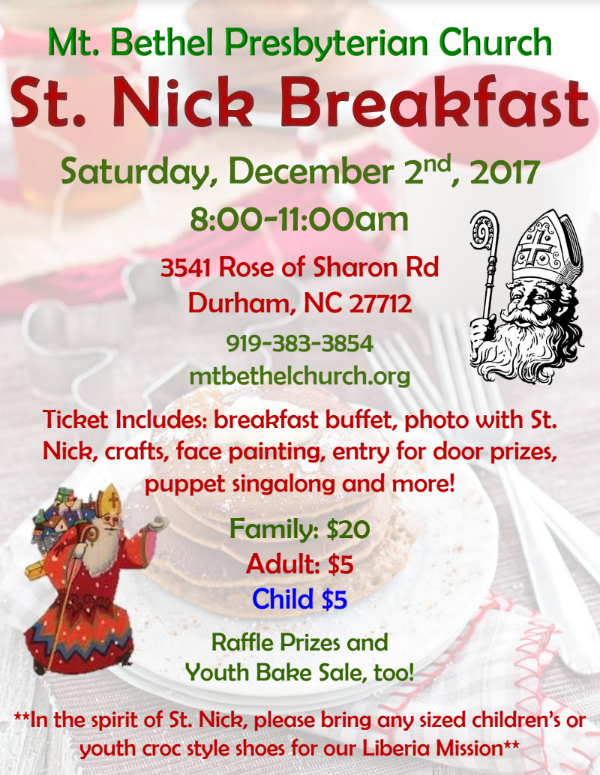 Ticket includes: hot breakfast buffet, photo with St. Nick, crafts, face painting, entry for door prizes, puppet sing-along, and more! There will be a Raffle and Bake Sale too!